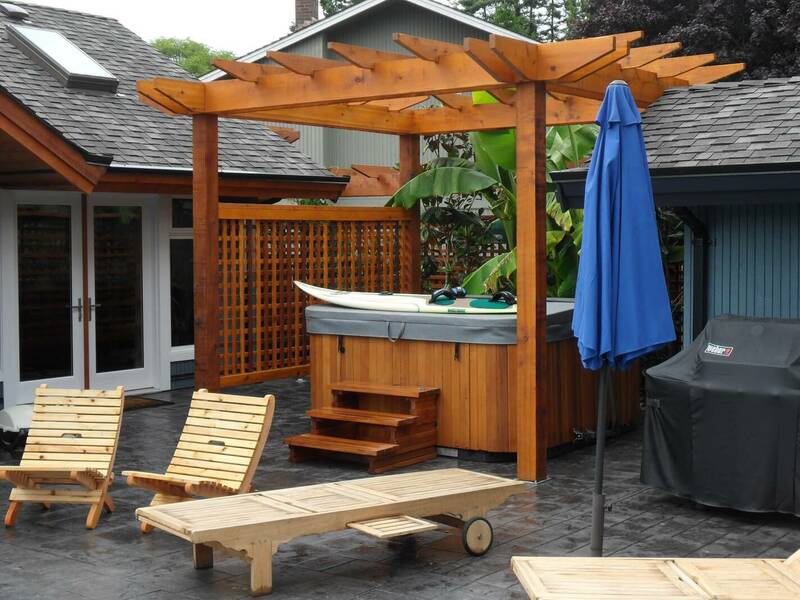 High quality custom cedar fencing and decks built on-site. We don't use pre-built panels. This lasts longer, allows balance in panel size and the ability to shift posts as needed to avoid harming existing vegetation in your yard while providing solid posts. Whenever possible, the boards from your old fence will be kept from the landfill and repurposed as planters or “reclaimed” furniture. Westminster Fence & Deck provides tear down and removal services for your existing structure. 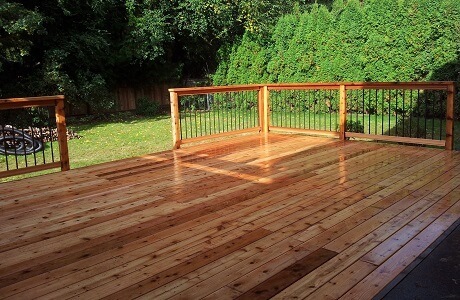 After demolition we will rebuild your new cedar or plywood deck, ready for whatever finish you decide. Have an arbour or trellis in mind? How about a custom cedar project? We do all of that too! Have a look at our gallery to see how we can make your next idea a reality. 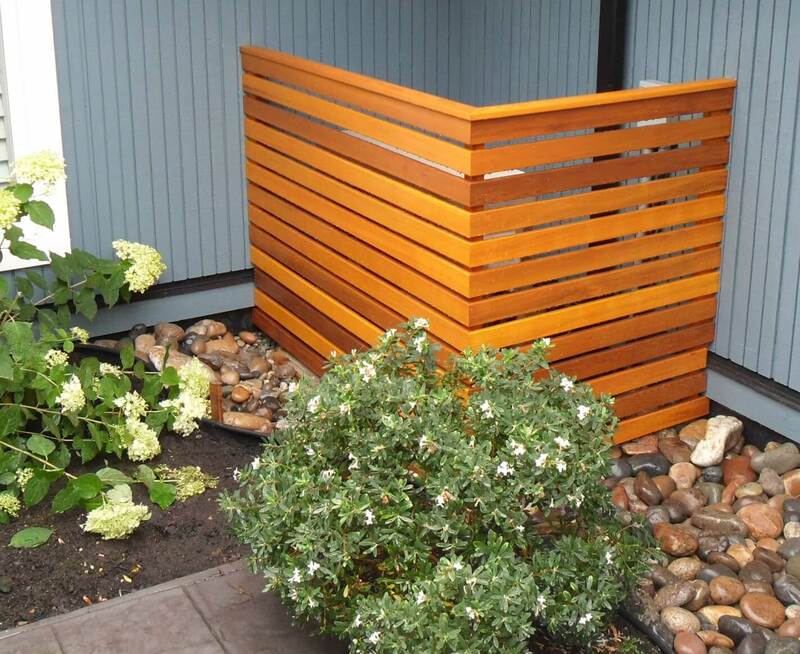 Westminster Fence & Deck is a small business that has been building custom cedar fences and decks since 2002, with a large portion of work subcontracted from much larger companies. We are now offering more direct to consumer sales. While using high quality materials and workmanship, our goal is to provide a beautiful new addition to your backyard at a fair price. So you've decided it’s time for a new high quality fence for your backyard, a fabulous new deck, or maybe an arbour. Now what? Getting started is easy! Simply click here, fill in the details, and press send. We will contact you as soon as possible to arrange a site visit and provide a quote. You can also get in touch with us through our Contact page. 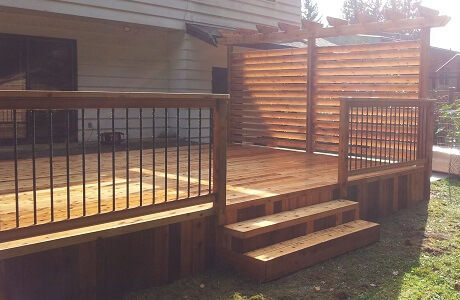 Westminster Fence & Deck is a small business that has been building custom cedar fences and decks since 2000, with a large portion of work subcontracted from much larger companies. We are now offering more direct to consumer sales. While using high quality materials and workmanship, our goal is to provide a beautiful new addition to your backyard at a fair price. Scroll through the images and read the testimonial to see what you can expect. Here's a deck we built for a customer who wanted to expand his existing cement patio without removing the old cement slab and to hide a large section of old garden. The deck we built was flush with the existing patio one to avoid a step or a tripping hazard, and a fixed louvered screen was added for privacy on one side. 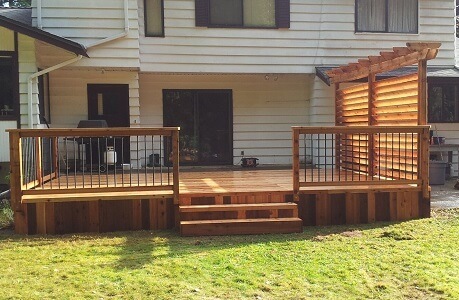 A black aluminum and cedar railing was also added just in case anyone got too much enjoyment from the deck! Spencer is extremely professional and the work he does is exemplary in terms of cost, quality and final product. 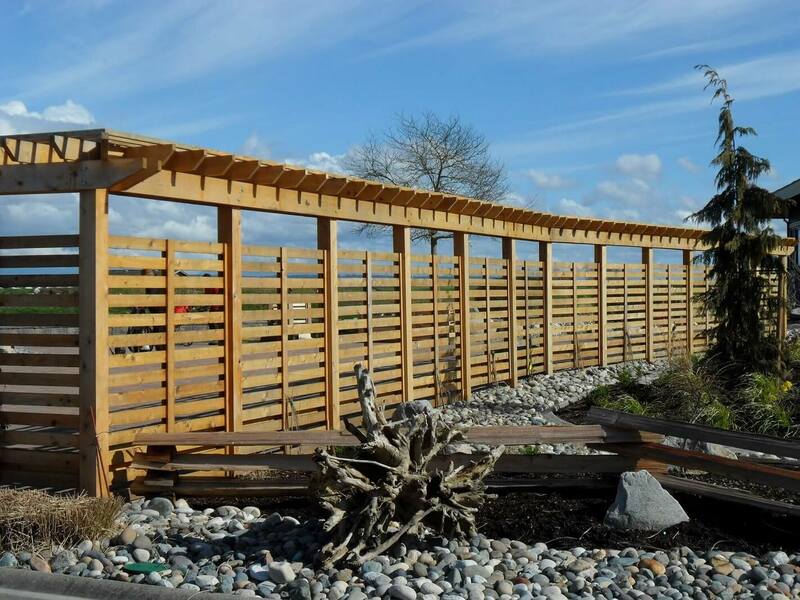 As someone with an extensive construction and civil engineering background, I would without reservation recommend the services of Westminster Fence & Deck for any customized fencing, decking, or similar work. Simply amazing!